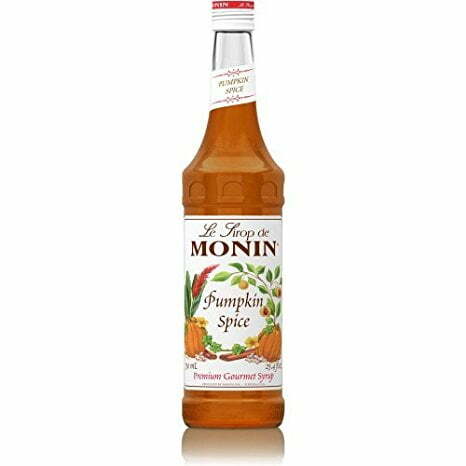 This syrup is the taste of Autumn in a bottle. Pumpkin is an ingredient used in so many recipes, which is no surprise to us as it is so delicious. 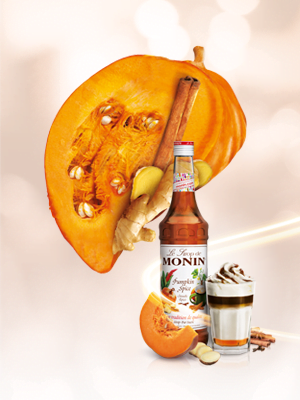 Pair it with an exciting array of spices and you have a winning flavour to add to hot or cold beverages. Made with only the finest ingredients such as pure cane sugar, this product is of the highest quality and has an authentic taste. This syrup would be an excellent addition to any menu or kitchen due to its versatility and natural taste. Easily extend your menu with this product that is loved by such a wide audience. The aroma of pumpkin pie will fill your kitchen when added to a hot beverage, making it truly irresistible. The subtle hint of spice balances the flavours out perfectly, making sure it isn’t too sweet. There are so many ways to use this syrup, all being equally as delicious. Nutmeg and cinnamon bring a perfect balance of spice and sweetness to this syrup. Add a splash of this syrup to any hot drink and you will feel an overwhelming sense of cosiness. To showcase how versatile this syrup truly is we have found two brilliant but very different recipes. The first is perfect to take you away from these Winter days and make you feel like you’re relaxing on a sunny cruise. Combine all the ingredients (except for the sparkling wine) in a cocktail shaker. Put the cap on and shake vigorously. Top with the sparkling wine and enjoy! This drink might sound complicated and taste like a lot of work has gone into it, but it’s so incredibly simple. The flavours of pumpkin, chocolate and espresso work together perfectly to create a delicious recipe that isn’t too sweet. The slight bitterness of the coffee takes the sweet edge off the white chocolate, making a staple recipe which we will be making all year round. Put all the ingredients (apart from the whipped cream) into a cocktail shaker. Pour into your favourite glass, top with whipped cream and enjoy!